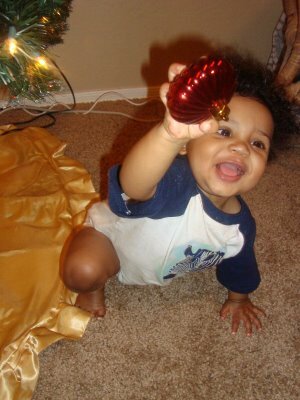 Deck the Halls with ….. It really is the most wonderful time of the year!!! I just love that everyone is so CHEERFUL!!! Yeah! 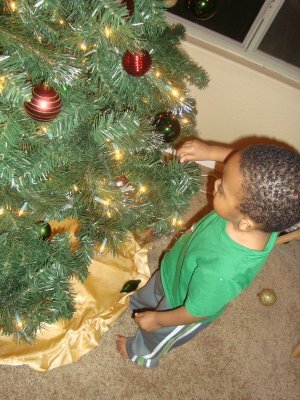 We kicked off the holiday season with some Christmas decorating around the house! 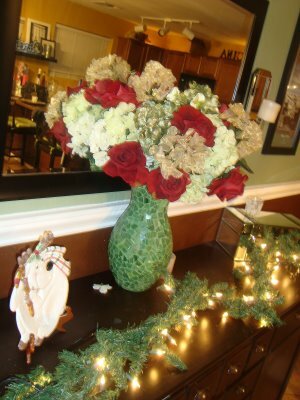 I usually get all my decor the day after Christmas and use it for the next year….that way I get it for dirt cheap!!! If you were to ask me what my decorating style is, I couldn’t tell you, because I just throw in whatever I LIKE! Be it trendy,modern,glam,old,cheap,traditional,Victorian,expensive,gold,silver,copper,shabby,earthy, comfortable,ect…I don’t care as long as my eyes LOVE it! 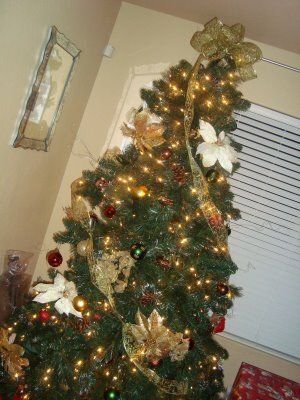 :0) I don’t care to much for “decor rules” and I am the same way when it comes to Christmas decor. I usually buy stuff that matches my house colors already, so it kinda looks like it belongs! The green I picked for my walls go with every season!!!!! 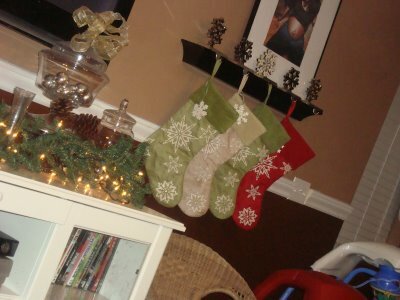 We didn’t have stockings growing up, but I knew I would when I started a little family! I love snowflakes! 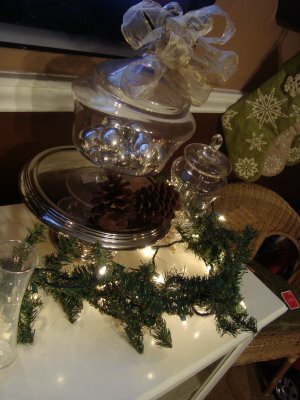 Remember these….I replaced the pine cones with bulbs…pretty! We ( I did most of the work and the boys handed me things) decorated the tree together this year as apart of our advent calender! The boys weren’t to interested in what was going…go figure! Did I possibly read a possible garden starting soon??? I loooove gardens and plan to do a huge one some day. My boys…sooooo cute. love them tons! You do the cutest things. Love the tree! Mine is half done. I wanted it up & done by now. Sigh. Your house looks BEAUTIFUL!!! It’s so cute that the boys were helping you.